Reusing old items is one of the best ways of taking small steps towards living more gently on this earth. 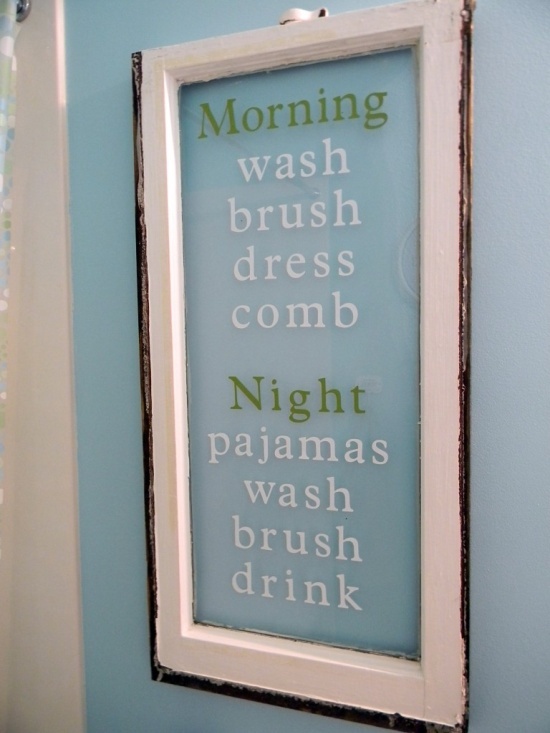 We love the idea behind this unique piece of bathroom wall decor that doubles as a functional bathroom routine chart, particularly perfect for kids who tend to get distracted when getting ready for school – or bed. 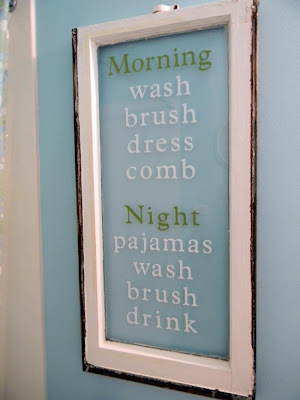 With some paint and stencils, turn an old window into bathroom routine wall art, hang it on your wall and – fingers crossed – life will run more smoothly!